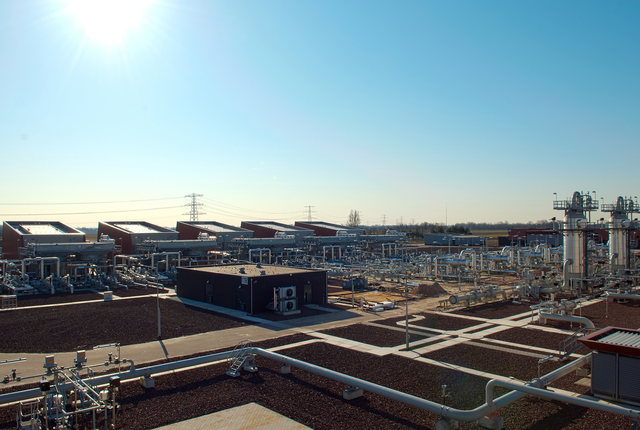 EnergyStock provides fast-cycle gas storage services at one of the most liquid natural gas trading hubs, the Dutch TTF. In our industry it is not always obvious what is a fair value of a gas storage service, especially when it is fast-cycle. In 2013 we attended a workshop in London about storage valuation. The workshop was provided by Cyriel de Jong of KYOS. Parts of his workshop may have been too mathematical for us, but we could clearly see how the storage modeling was integrated in a user-friendly system. After a thorough evaluation, about a year later, we decided to go ahead with the KYOS software. It was challenging to get a good understanding of the calculations behind the system, but KYOS is always willing to help in case of questions. Now we have a fairly good understanding of the tool, it helps us to evaluate a large number of potential contracts, which we use to structure the optimal service for our clients. For example, we evaluate what is the best relationship between injection, withdrawal and working volume, or what is the trading value of a very short-term storage service. Apart from our Dutch roots we share the entrepreneurial spirit with KYOS, paying much attention to client needs. For example, we use the KYOS application completely as a service, over the internet. We don’t need to care ourselves about IT matters: we simply log in, have access to the relevant market prices (via a Montel data feed), the gas forward curves and the market volatilities. And we can monitor all the prices and storage values over time. In return, our feedback has helped KYOS to improve a number of features in their application. In a similar way, with EnergyStock we try to make things easy for our clients and structure our service to what they need.